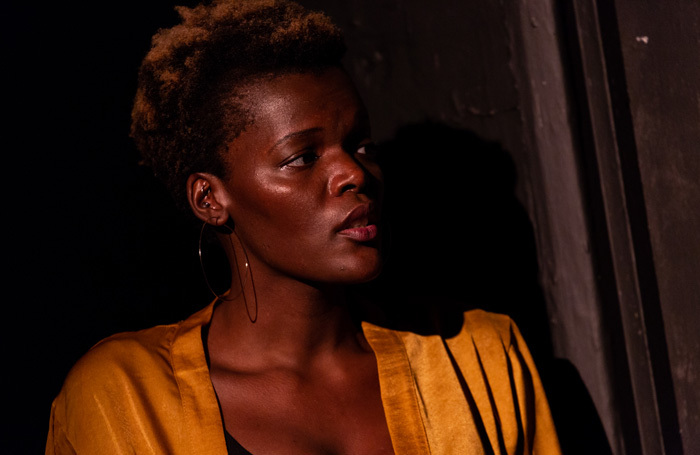 With every role that Sheila Atim aces – and she aces every role  she takes – she reaffirms that she should, and indeed will, be a huge star. This is true of Che Walker’s genre-piece play, which premiered in LA where it is set and where Walker was living at the time. It’s an okay play, but Atim elevates it whenever she is on stage. Oh, and she also wrote the music: all skittering beats and sultry melodies. Walker is riding high off the success of Been So Long, his 1998 play which he turned into a musical then turned into a Netflix film – reportedly the highest sum the streaming platform had paid for a British film acquisition. But where Been So Long was sweet and identifiable, Time Is Love is colder and, at times, confusing. Walker’s basic premise is: “what if Desdemona was actually cheating?” The story is set in an LA barrio where a guy comes out of prison and finds out from his friend that his wife cheated on him with the cop that put him away. It plays out like a film, aiming for an LA Noir in terms of style but ending up a bit more greyscale. A lot of it feels like pastiche both in the way it’s (possibly over) written – lots of ripe poetry, imagery, and untranslated Spanish – and, at times, acted. From its title to its fourth-wall breaking narrator the play really doesn’t give itself away; it’s sometimes enigmatic and occasionally incomprehensible. Gabriel Akuwudike does good work as tormented hero Blaz as does Benjamin Cawley as his tricksy best friend Karl. But Atim is captivating.